How to cite SOC data ? Australia is characterized by several cratons and orogens. SOC [Fontaine, 2007] was deployed from Jan. 01, 2007 to Aug. 14, 2008 to characterize the structure of the Gawler and Curnamona cratons. Guralp 40T and 3ESP sensors were used with Orion and Earthdata digitisers operating at 25 samples per second. 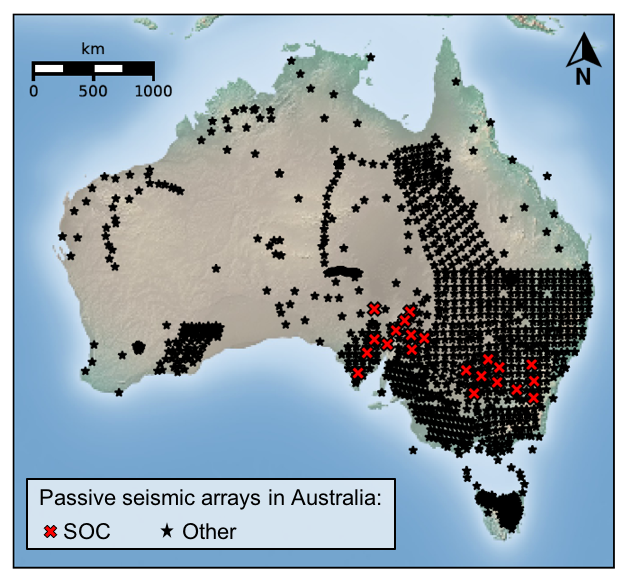 increase the coverage of previous seismic deployments in South East Australia to improve the 3-D images of the crust and upper mantle by body wave and surface wave seismic tomography.